In the United States, they've got a multi-billionaire wiling to bankroll ‘green’ political candidates. In this country, there’s at least one anti-abortion group who is working to elect ‘pro-life’ MPs. So, maybe this was just a matter of time? A new organization – called Legalize Canada — has popped-up with the intent of "supporting strong and vocal pro-legalization candidates for public office" in 2015 federal election. Liberal journalist and blogger Jeff Jedras had the opportunity to speak with one of the group’s organizers this week: he wrote about it for the National Post. "While Legalize Canada will be pushing hard in all 338 ridings, its polling has identified 95-100 ridings where the difference between support for legalization and the differential in the last election would mean electing a different MP in that riding," Jedras wrote noting that the group aims to have a $7 million budget. 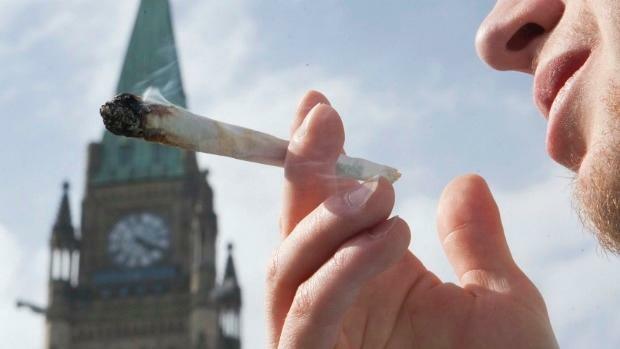 "Those will be their target ridings and the focus of their effort, which will include a traditional advertising campaign, as well as a digital strategy and ground game to make sure its identified pro-legalization voters get to the polls to support the candidate Legalize Canada has identified as the pro-legalization candidate with the best opportunity to win the seat." Jedras added that Legalize Canada will host a hospitality suite at the Liberal Party policy convention this weekend in Montreal. His full column can be read here. Legalize Canada’s Facebook page can be seen here. You’d have to think that the group’s intervention will help the Liberals more than anyone else. Each major political party now has a distinct position on the issue of marijuana: The Liberals want legalize, the New Democrats have spoken about decriminalization while the Tories seem comfortable with the status-quo. But whether Legalize Canada’s efforts will buoy the Grits to victory on Election Day 2015 remains to be seen. Last summer, Yahoo Canada News spoke to Abacus Data pollster David Coletto who said pot just isn't a ballot box issue. "Young Canadians are worried about far more personal issues in their lives, like finding a good job, paying off their student loans and affording their first house," Abacus Data’s David Coletto said. "In a survey we did in October 2012, only four per cent of Millennials aged 18 to 30 we surveyed ranked decriminalization of marijuana as one of the most important issues facing youth today in Canada. Finding a job, student debt and affordable housing were far more likely to be ranked as top issues." Coletto's assertion was supported by a Nanos Research poll last summer where only six people out of 1,000 said that marijuana was the "top national issue of concern." Are people going to vote based on the Senate scandal, on health care and the economy? Or are they going to use their vote to change a pot law? Are you a politics junkie?